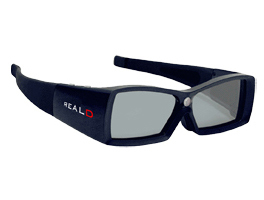 Just preceding the highly anticipated movie release of Beowulf 3D with RealD glasses technology (Nov. 2007), D2M engaged in the mechanical and electrical engineering of one of RealD’s first consumer product developments – active LCD Shutter Glasses for televisions. From headset to streamlined glasses designed by Ammunition Group, the D2M team transformed larger 3D LCD headset prototypes into a slim reality by significant repackaging innovations – both electrical and mechanical – in rapid time. During the initial development phase, D2M dramatically redesigned early electrical prototypes from a sizeable box of components into two compact PCBAs that were a fraction of their original size. The size reduction effort involved overcoming challenges in power consumption and battery capacity, while architecting and writing the firmware for embedded microcontrollers in the more compact design. 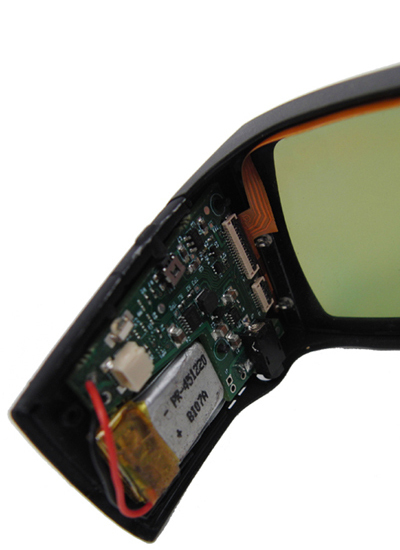 The smaller packaging allowed the electronics to assemble into slimmer glasses designed by Ammunition Group. The D2M mechanical team subsequently hit the ground running, providing feedback and improvements upon initial industrial designs, building CAD models into organic designs, and packaging electronics into the space-limited aesthetic for CES 2008 prototype tooling release – all within two months. Meanwhile, significant work was done on product development for mass production.